Your weekly Red Dead Online update is live, and features a new Showdown Mode called Plunder. It’s that time of week again Red Dead Online folks, and the latest update has you working alongside others to capture supplies from a central location. 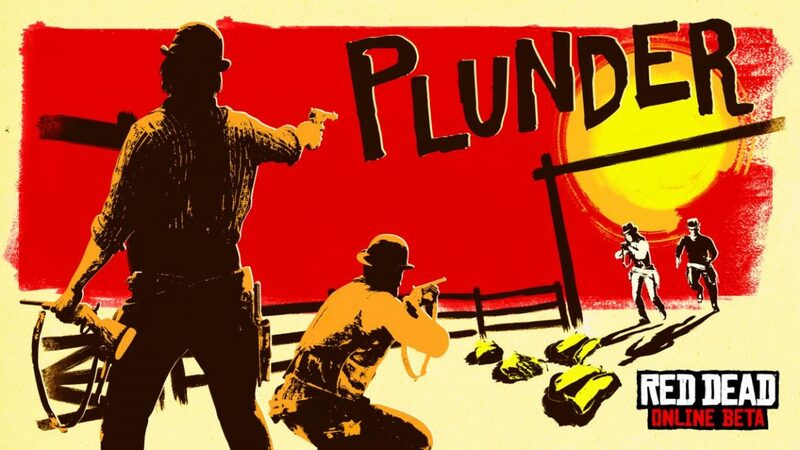 This new Showdown Mode is called Plunder, and tasks you and your team with bringing goods back to home base. In addition to capturing loot from the central location, your team can also plunder it from an opponent’s base. The caveat? While holding the loot, you’ll be visible to other players. Rockstar suggests keeping your health, stamina and Dead Eye cores filled. And don’t forget to use tonics to boost your tank to gold before plundering packages. Team-based Dead Eye Ability cards will come in handy too. New clothing items are also available this week. These are the Owanjila Hat, Porter Jacket, and Concho Pants. Bonuses this week include access to all coats, holsters, boots and gloves up to Rank 40 will be available to all players until April 15. Higher ranking players will find the Turkoman, Missouri Fox Trotter and Arabian Horses are being lowered to Rank 40. Volatile Dynamite, Incendiary Buckshot, Explosive Slug, Express Explosive, and Dynamite Arrow pamphlets are all lowered to Rank 60. Don’t forget: a new Hostility System, offensive and defensive playstyle options, new missions, dynamic events, and more are coming later this spring.